The diffusion of water molecules from high to low concentration. They let some substances pass through them, but not others. The movement of dissolved molecules into or out of a cell through the cell membrane, from low to high concentration (up the gradient) . Requires ATP. Effected by temperature, steepness of the gradient, size of the solute and electric or pressure gradients. The difference between the concentration inside and outside of the cell. 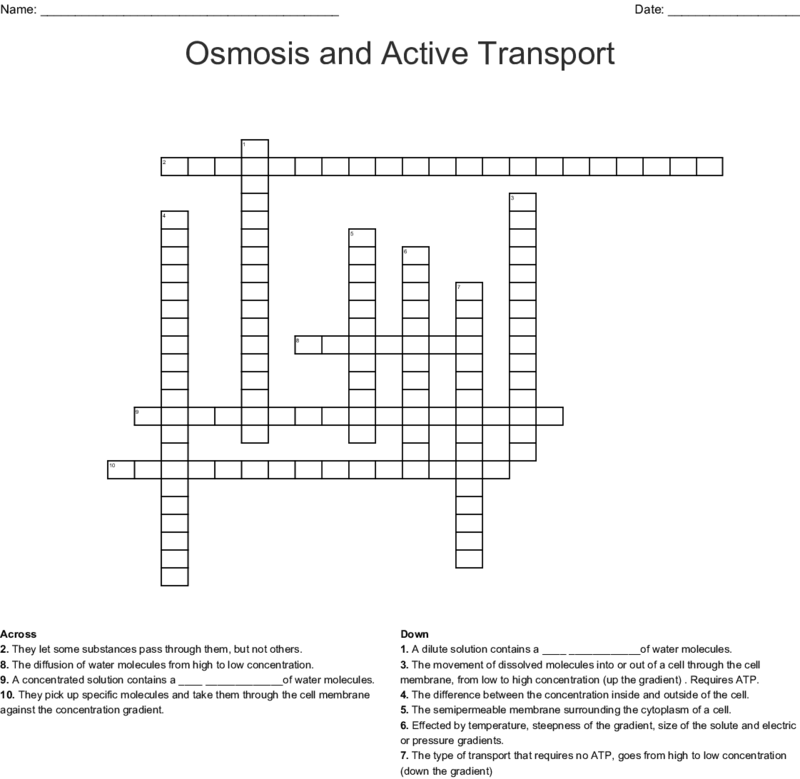 They pick up specific molecules and take them through the cell membrane against the concentration gradient. A dilute solution contains a ____ ____________of water molecules. A concentrated solution contains a ____ _____________of water molecules.